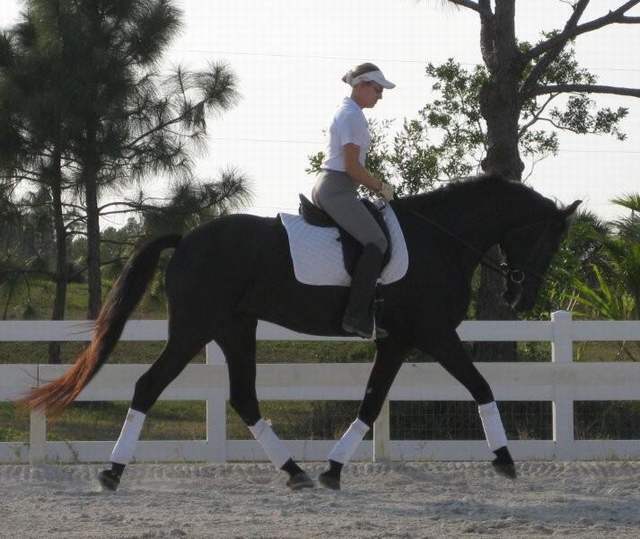 Heidi’s Farm Welcomes ‘Don Fredo’, and Jessica Beier, MD to her training program. 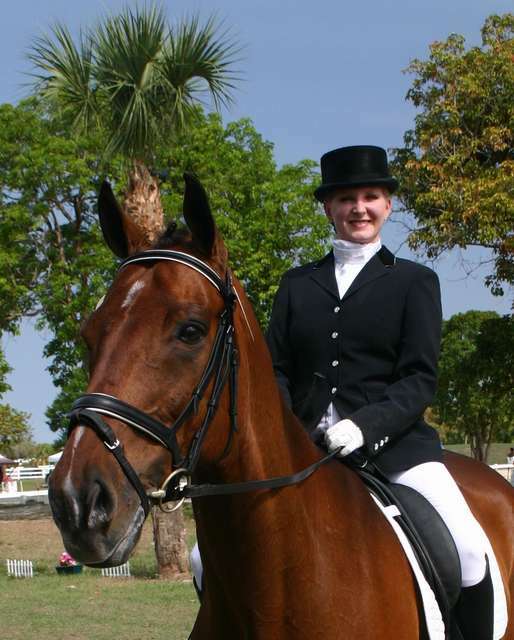 Heidi Degele is super excited about this horse. 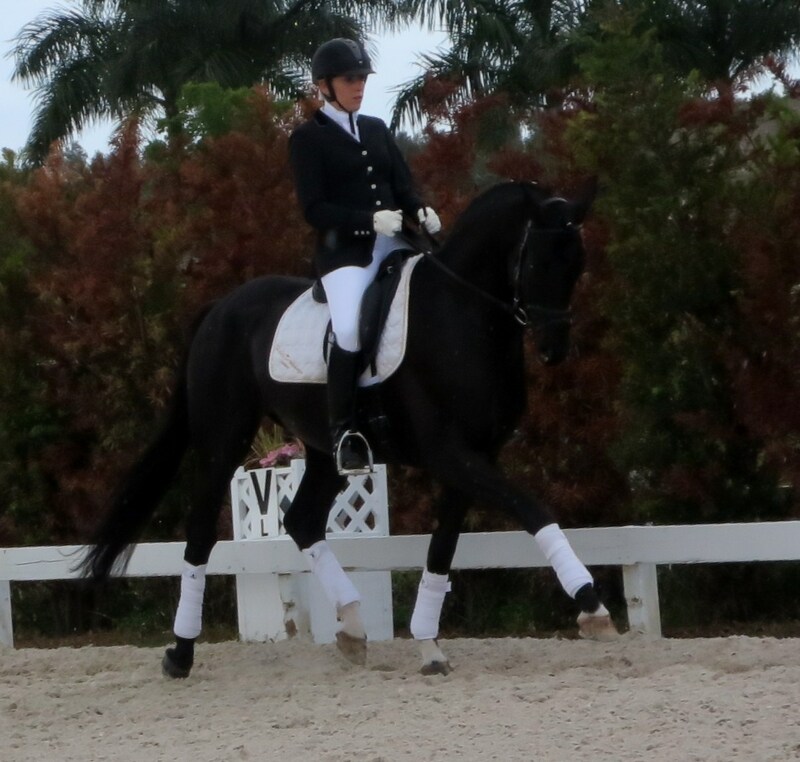 In his very first show he scored a 78.5% and won his class!!! 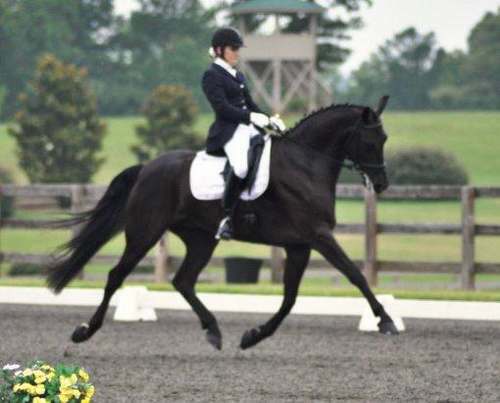 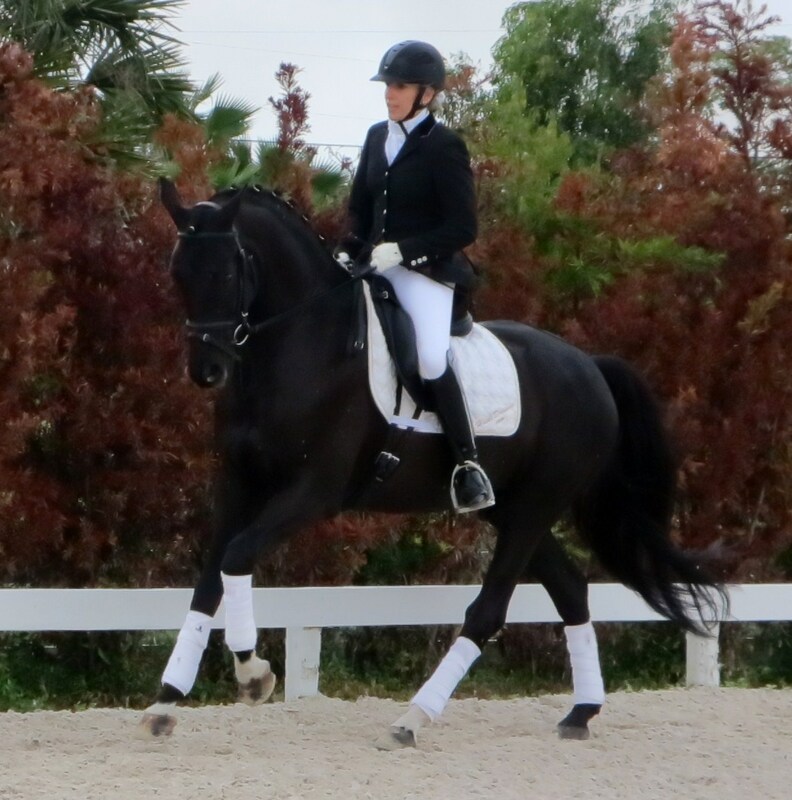 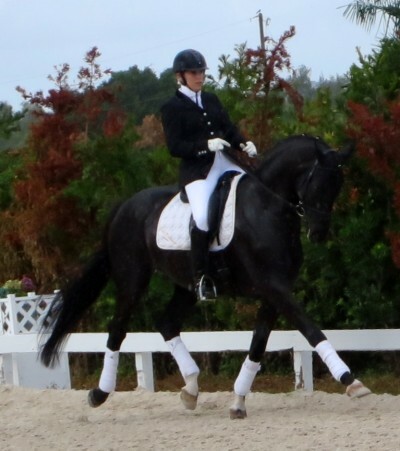 *On January 21st Heidi Degele was invited to ride Don FREDO HD in The United States Dressage Federation 2014 Succeed/USDF FEI-Trainers’ Conference with Steffen Peters and Scott Hassler held at High Meadow Farm in Loxahatchee, Florida. 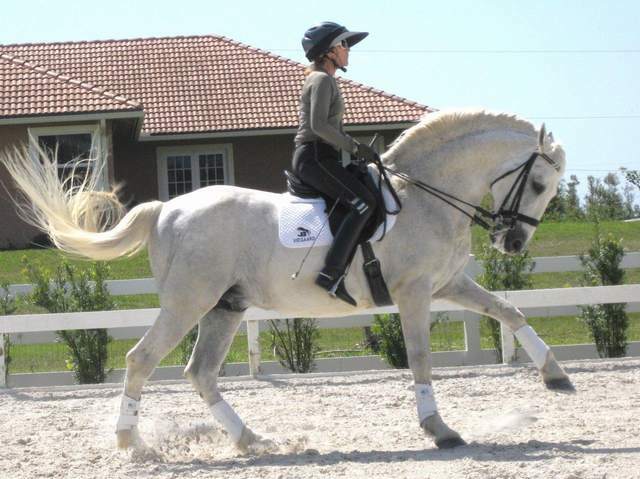 Lakota is welcomed to Heidi’s training program. 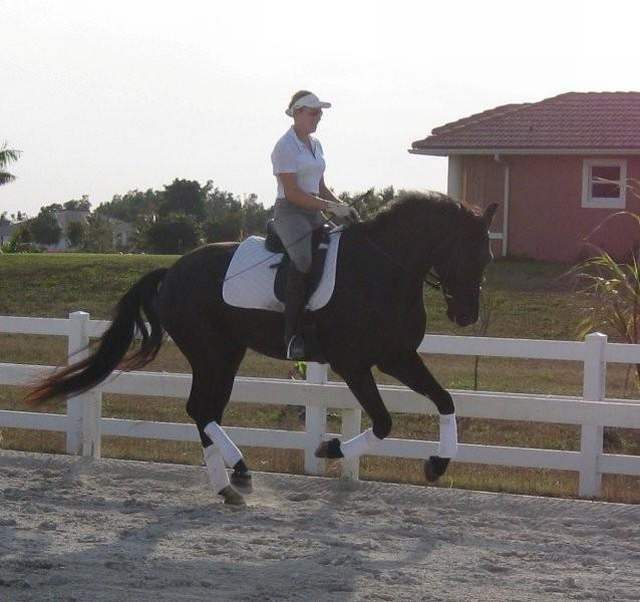 Lakota is a a 4 yr old, 17hd American Warmblood. 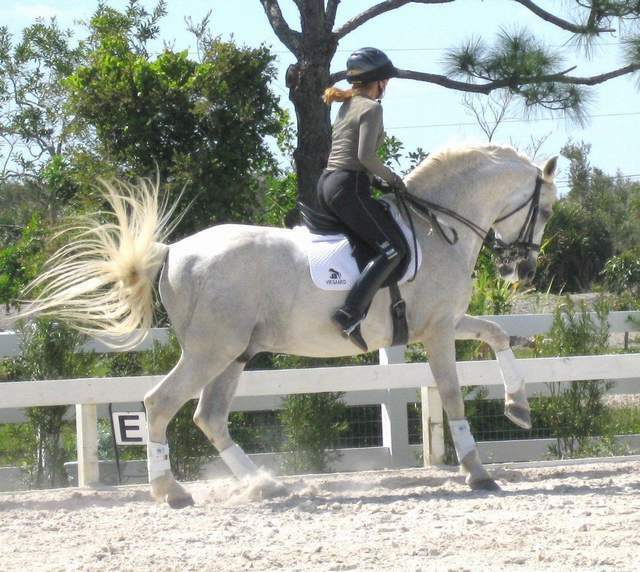 He is an exciting new addition. 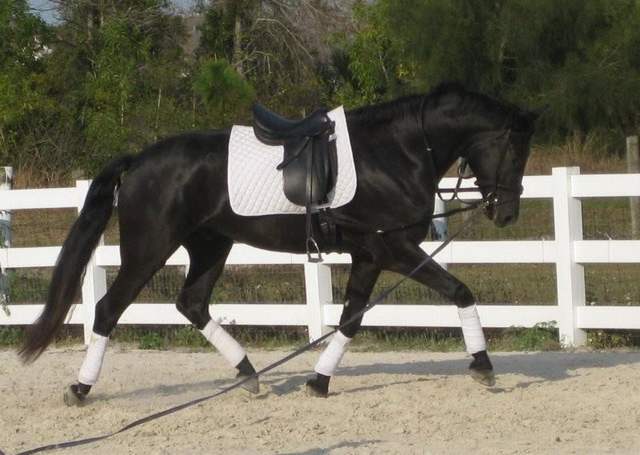 With his elegance he is sure to win in an upcoming show season! 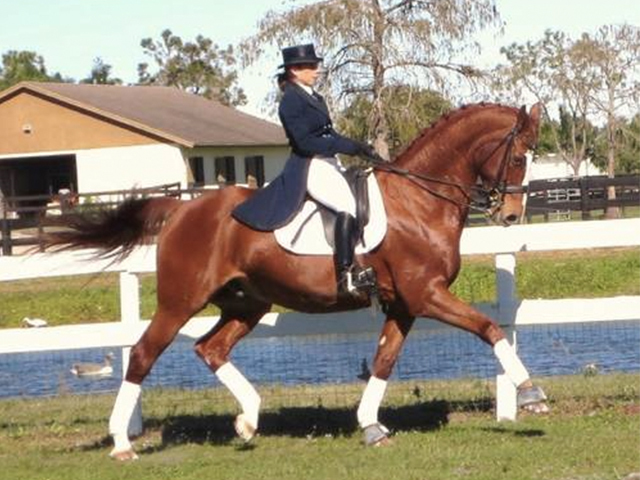 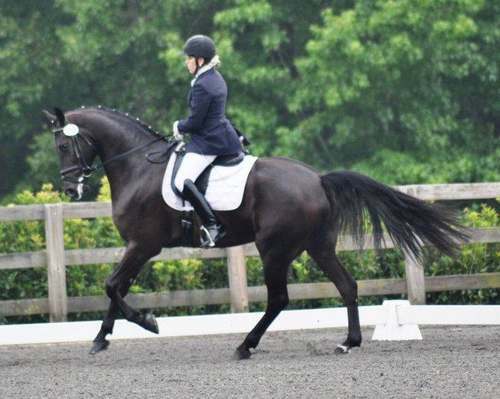 Cara Broderick comes to Heidi every year for training with her horse ‘Duval’ 9 yr Oldenburg Gelding by Dr Doolittle. 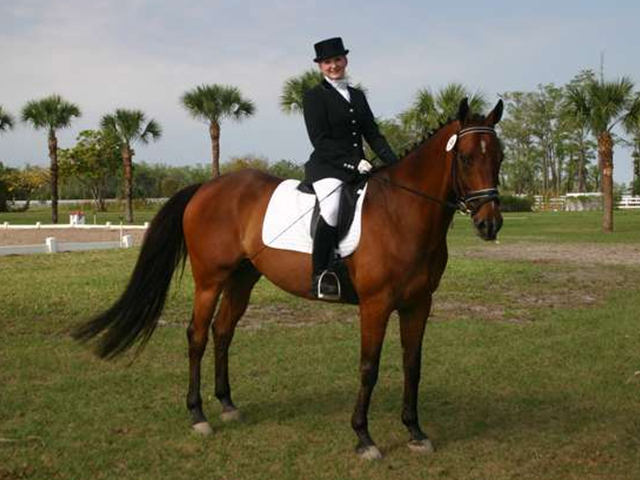 She is an AA currently showing 3rd level who runs her own business off of Lake Worth Ave, selecting fine art pieces and selling antique artwork. 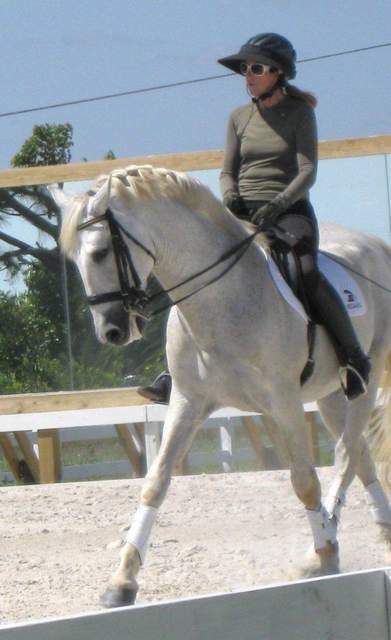 Cara has been with Heidi for 3 years, she stays here in the winter and in England during the summer. 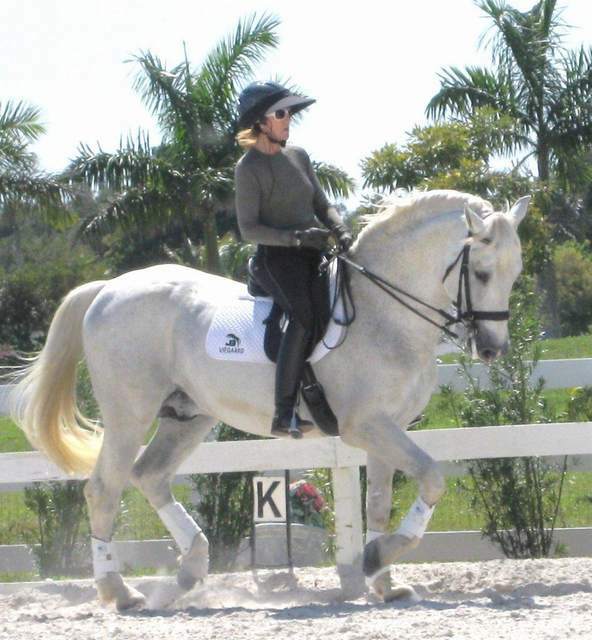 Every year she flies Duval back and forth to train with Heidi. 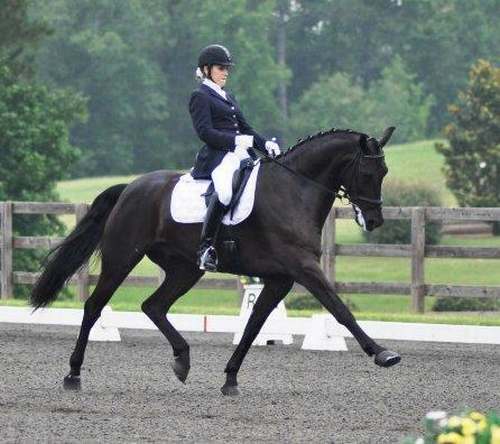 We congratulate Cara Broderick & Duval on her continued success. 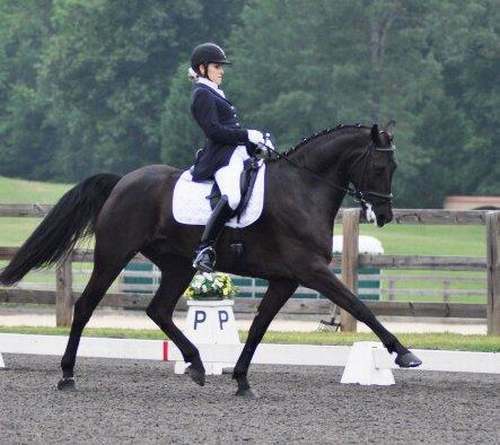 Congratulations to Linda Signorelli and “Valentine’!! 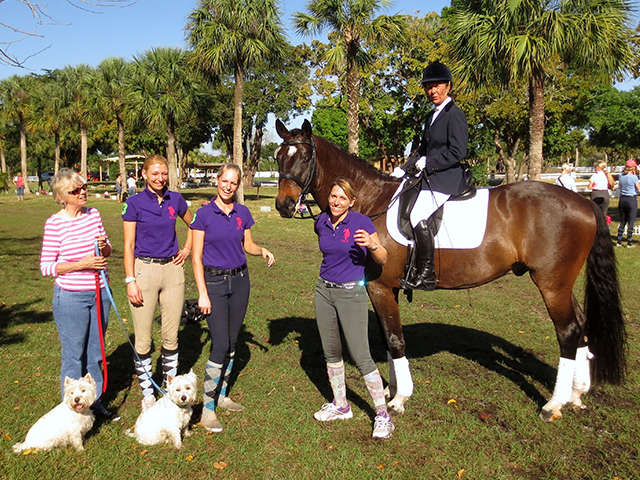 We are excited for your next Show season!! 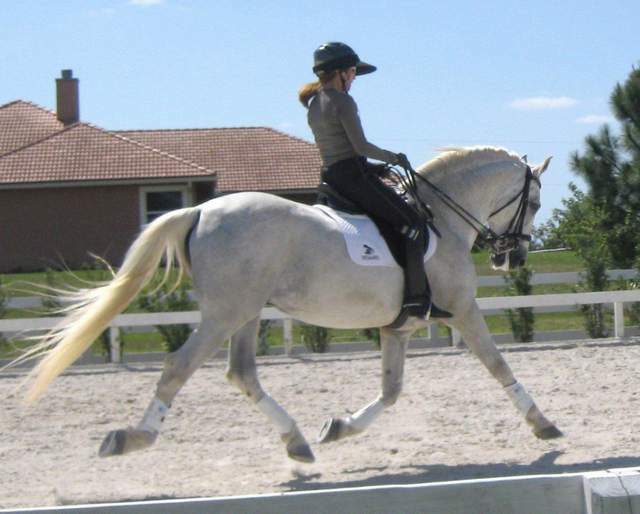 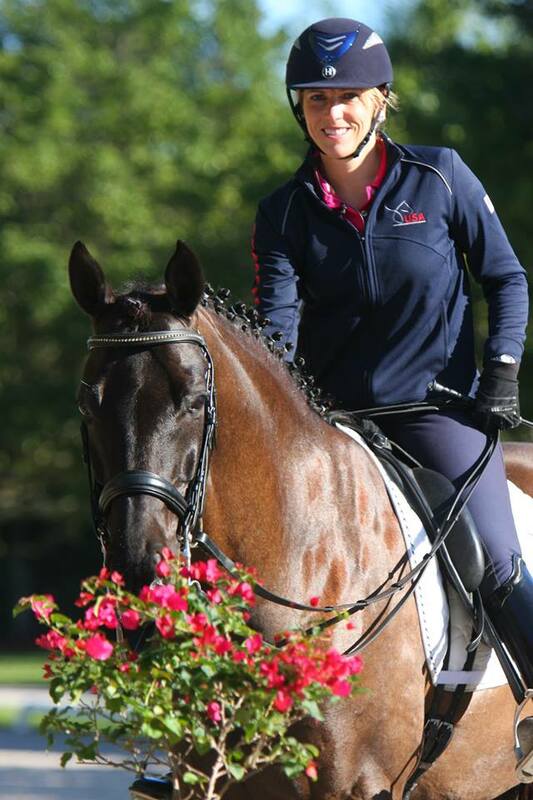 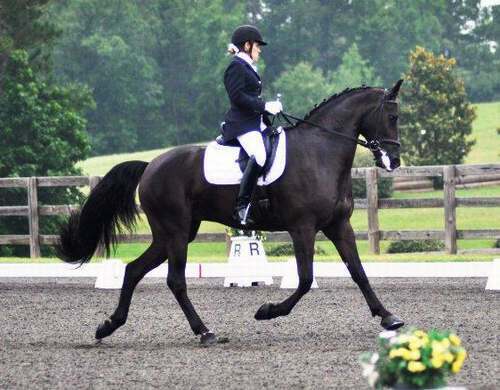 Cimi is owned by Dana Orfinger and is now schooling PSG. 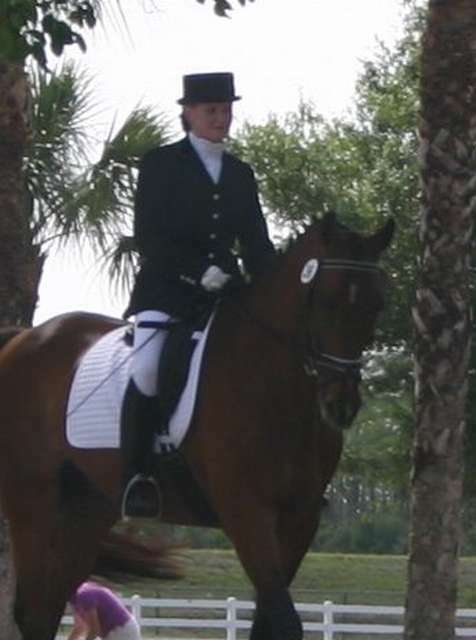 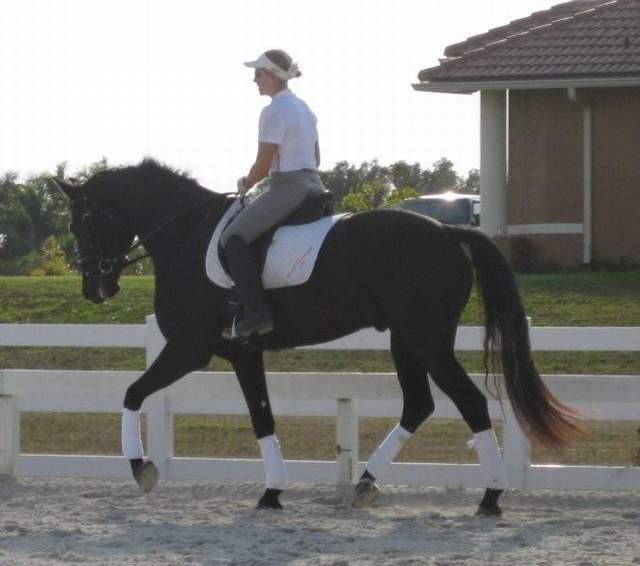 Dana will be preparing for her first season showing Dressage in Wellington; she was a Saddle bred rider back in her High School days.